Does anyone have any results of Midlands Group Spring show please? 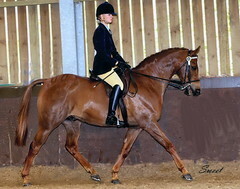 We are delighted to hear that Sunray sired horses did so well in the Anglo/Part Bred Arab Ridden Classes, yesterday. 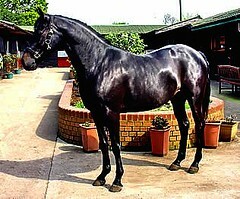 and her sire is Sunray Superstar, who is out of Scelebrity`s full sister. She has an amazing temperament and is always consistent. We were also really pleased for the new owner of the winning Ridden Novice AA/PBA Class. 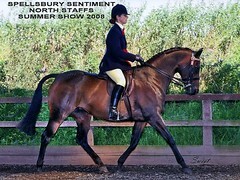 Novice and went one better, to stand 2nd (giving the Judge a good ride) to Spellsbury Sentiment in the Open. SG Palesstreem, owned by Claire (cakes) won the novice ridden pure-bred stallion and gelding class and became novice pure-bred ridden champion and he went on to win the open ridden pure-bred stallion class and then became open purebred ridden champion. Well done to Claire and Steph for riding him so well! My mare Psynammon won the novice ridden mare and went on to be reserve novice champion, highly delighted. I'm hoping she will be as successful as her mother 'Shamila Amira' under saddle. Just read this, Thank you Eidirb, I don't know who you are but that was a nice comment.